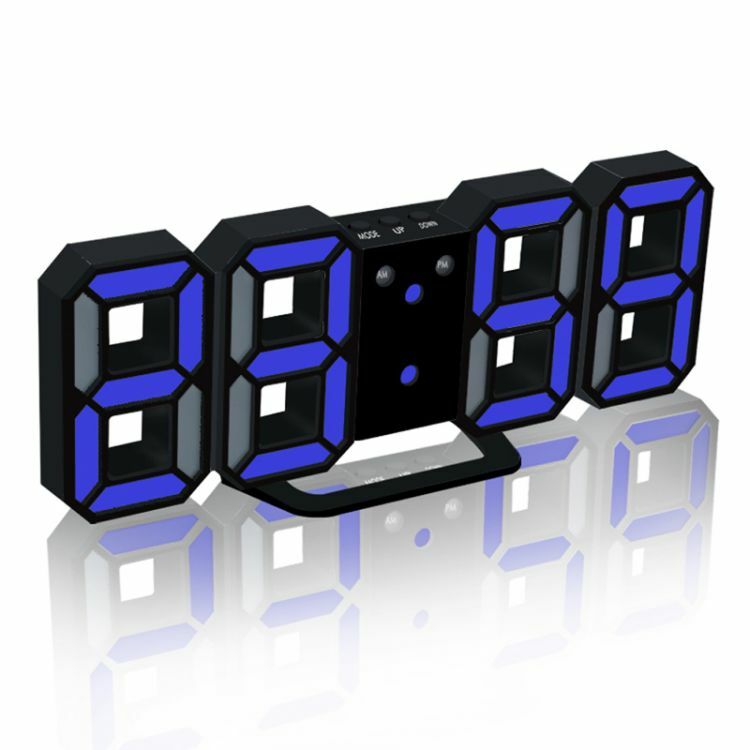 A fashionable and easy-to-read clock with large LED “8888” digit display. A lightweight and concise space clock that easy to place anywhere in your room. Dimmer function: 3 adjustable luminance levels (High, Medium and Low level). 12/24h Time format: The PM indicator will light up in 12h time format. Alarm function: 0-24h alarm clock with 2 minutes beeper; Snooze function: you can take a nap for a little while. The default snooze time is 5min, and can be freely set from 5 to 60min. Night mode function: auto lower the LED luminance during the night time. The default night period is 18:00 to 6:00 and can be adjust freely. Convenient to place anywhere: stand and wall mount hole design. USB powered and battery backup: charged by USB cable and button cell battery for back-up function.